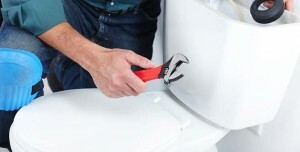 Toilet installation, toilet repair and clogged toilets are unpleasant and stressful to deal with, so call (816) 886-7600 and get timely solutions from All-n-One Plumbing. We’re waiting to hear from you, so call now! Make sure to take a moment to visit our Coupons page to view the online discounts and specials available to you. Clogged toilets may not seem like a big deal, but if you are experiencing frequent blockages that are causing issues with flushing, or causing the toilet to back up all over your floor, then those are telltale signs of a blockage further inside your piping system. At All-n-One Plumbing our specialists are happy to provide expert assessment and resolutions to your plumbing issues in Independence, MO and greater Kansas City area. Did you know that your toilet sees as much use as any other major appliance in your home? As a result, it’s not uncommon for toilets to begin wearing down and having issues such as loose handles, or continuously running water in the bowl. Want More Reasons to Give Us a Call? We develop long-term relationships with our customers: Our goal is to turn every customer into a satisfied, lifelong client who will trust us to handle their plumbing problems whenever they need help! Our specialists are friendly and professional: You will find that our team is approachable and always happy to work with both new and returning customers. Timely turnarounds: We know you are busy and won’t make you wait. Our technicians will arrive on time and fully equipped to work until the job is done, so you can focus on getting back to your day. Get free quotes and make the right choice: Our technicians are happy to provide you with a free, no-hassle estimate before the work starts so that you can make an informed decision. We want you to enjoy the peace of mind you deserve. We offer warranties on our service: Feel confident in working with us, because all of our work is backed by a warranty (which varies depending on the service). Our goal is to provide all the homes in Independence, MO and greater Kansas City area with outstanding plumbing service when they need it the most. Give us a call at (816) 886-7600 for service today.